8 Marketing Steps to Prep for a Big 2014! As we head towards the New Year, it is good to take stock of your brand, your mes­sag­ing and your cur­rent mar­ket­ing efforts. Here are 8 steps you should resolve to make progress on in Decem­ber so you are well posi­tioned for a dyna­mite 2014. What are you aim­ing to accom­plish with your mar­ket­ing in 2014? Build aware­ness? Gen­er­ate leads? Col­lect email signups? Make sales con­ver­sions? Any of these are valid goals. You just want to be sure that your mes­sag­ing and tac­tics sup­port your goals. And set some mea­sur­able num­bers for your goals. Once you’ve defined your goals, you should cre­ate a list of cam­paigns (tar­gets, mes­sages, offers) and get them sched­uled on your mar­ket­ing cal­en­dar. The cal­en­dar can be as sim­ple as an excel spread­sheet with dates. Or if you use Out­look, cre­ate a Mar­ket­ing cal­en­dar which can be shared. Rebuild­ng a web­site is a big project. Per­haps you are plan­ning that in 2014. If that rebuild is not able to be high on your 2014 pri­or­i­ty list, make some visu­al improve­ments to add fresh­ness to your site. Do you have any idea how many peo­ple vis­it your site? And what they do there? If you haven’t already done so, you should set up Google Ana­lyt­ics right away to answer these ques­tions. It is not hard to do. And the soft­ware is free. And once you have the ana­lyt­ics you can con­sid­er how to opti­mize your site to sup­port your goals. 5. 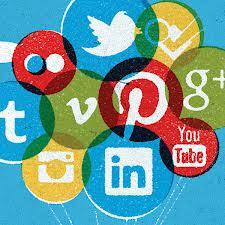 Social media: are you focused on right SM platforms? There are lots of social media sites. It is some­times hard to know on which ones to focus your atten­tion. I would skip Google +. There is only so many plat­forms you can take on. Despite the calls for its demise, email cam­paigns con­tin­ue to gen­er­ate very pos­i­tive returns for mar­keters. And giv­en that social media is so pub­lic (lots of peo­ple see your posts), email has the advan­tage of being one-to-one (sim­i­lar to a phone call or a let­ter). This “one-to-one” can be a plus. But you must use an email ser­vice provider to keep com­pli­ant with the CAN-SPAM Act. I rec­om­mend Con­stant Con­tact. Check them out. Look­ing for more arti­cles on email mar­ket­ing to get going? Check out this primer. A big part of mes­sag­ing is sto­ry telling. A blog on your web­site is a great forum for you to tell sto­ries about your prod­ucts, your team mem­ber, or clients. An advan­tage that a blog has over social media is that it is great for longer sto­ries. Seth Godin has a thought-pro­vok­ing blog. http://sethgodin.typepad.com/. Aim to add to your blog month­ly at first. Then ramp it up to biweek­ly. Videos don’t need to be high­ly pol­ished to be effec­tive. Ani­mo­to lets mar­keters quick­ly and sim­ply cre­ate decent videos with the use of tem­plates and a library of music. Here is a fun video cre­at­ed by sales firm Just Got 2 Have It. Make a New Year’s video for your com­pa­ny. It won’t take you more than a few hours. 2014 can be a big year for your com­pa­ny. To get the year mov­ing quick­ly out of the gates, invest in these 8 mar­ket­ing prac­tices to see big returns. Want to dis­cuss your mar­ket­ing for 2014? Shoot me an email at jeremy@aptusdigital.com. On December 2, 2013 / Digitial Marketing, Email Marketing, Search Marketing / Comments Off on 8 Marketing Steps to Prep for a Big 2014!